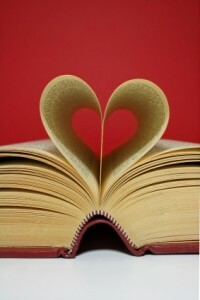 Home > Blog > A Course on Romantic Relationships – for College Credit? Relationships are a major part of life and so is divorce. I think it’s a great idea to offer this course. If couples learn a little more about communication and how to take time for one another, it can really make the difference between a happy and fulfilling relationship and one that could end up in divorce or just existing together. The difference amid recreational consumption and medical employment of cannabis begs to be recognized. Even though I believe that a responsible adult ought to have the right to use marijuana recreationally, I do believe, without doubt, permitting a sick person use of a plant with a long history of medical value should be accepted and legal. Cannabis has a enormous potential as a medicine and more awareness and tolerance is necessary. In Summary, legalize it! What could be more sensible than educating college age people about romantic relations. So many marriages end in divorce, we can’t just sit idly while this happens. Nobody will be naturally good at the communication relationships require. It’s a skill that has to be learned. We need to show people how to manage relationships. There are enough broken hearts out there, believe me! I commend Professor Acker for this brilliant idea. With the divorce rate that is increasing every day, I believe universities should not only look into the academic side of the students but look into the emotional sides of the students. Not all of our students today have any clue on dating and relationships. It’s time we teach them and help save their future marriages to not fall into divorce. I do believe that divorce is one of the worst that could ever happen to a marriage and it is indeed very stressful. What I went through with my divorce was something that I would rather forget, but it’s not that easy. If only there were advices about how to have healthy relationships like what Prof. Acker did, maybe my marriage wouldn’t end in divorce. I saw this video on the internet. It was a reality tv show which features people who are being cheated by their partner. One episode went too far that the wife ended up killing his husband, while they were taping the episode. Maybe if those partners had a course on how to handle relationships, the husband wouldn’t end up cheating on his wife. And maybe, he wouldn’t be dead. I agree with most of the comments above…divorce is worst when kids are involved, so an education on relationships may be a good idea to give young people a foothold when it comes to making relationships strong and work! I’d love to see the divorce rate decline dramatically! Offering three credits for discussing divorce is a brilliant ploy to get this painful subject out into the open discussion forum. In making the students actually think about what relationships mean and what can cause them to breakdown will surely lead to a more level headed approach to marriage by all involved.